Though FX and stocks are incredibly popular financial instruments today, you might be interested to learn that the futures markets began with commodities. Futures were originally created as a means for agricultural producers to hedge the value of their forthcoming harvests. 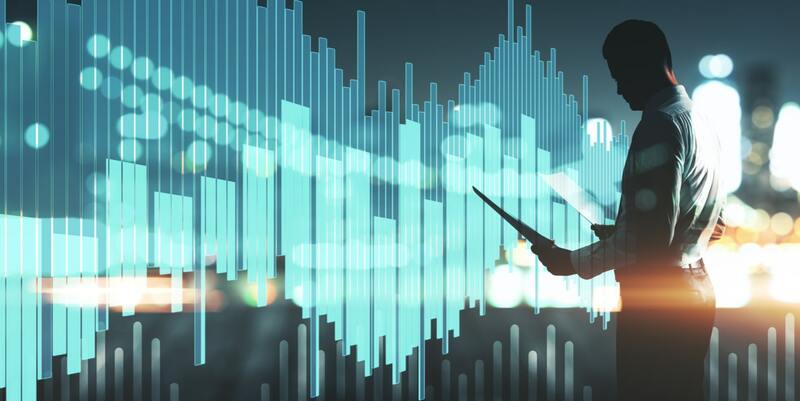 Given the long-established nature of the commodities markets, it's not surprising that some valuable technical indicators have sprung from analysis of that side of the financial market. One such tool is the Commodity Channel Index indicator or CCI indicator. Don't let the name fool you — though it was originally developed with commodities in mind, you can apply it just as well to Forex, stocks and other financial instruments. 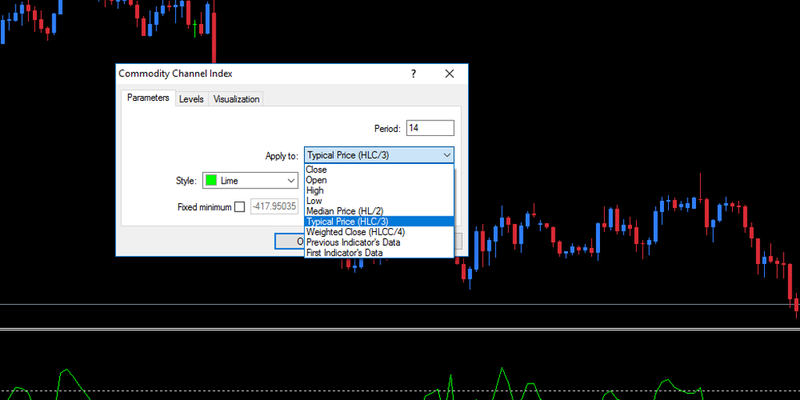 This article is going to explain how the indicator works and how you can use the CCI in MetaTrader 4 as part of a trading strategy. We'll be focussing on applying the CCI indicator to Forex, but the same principles apply in general to other markets. Let's first talk about how the indicator works. 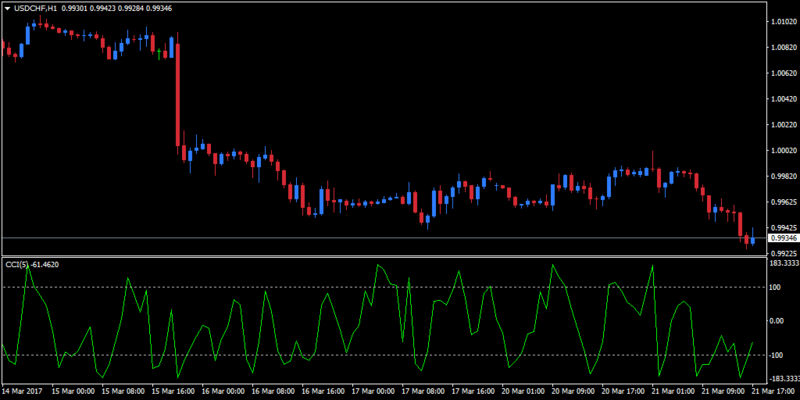 The CCI indicator is an oscillator that measures the strength behind a price movement. At its simplest, it allows us to judge whether it is bullish or bearish forces that are in the driving seat. In this way, it has some strong similarities to the Momentum Indicator and both these indicators oscillate in value either side of a zero-value centreline. The momentum indicator is bounded within a 100-point range either side of this line. In contrast, the CCI Index varies between greater maximum and minimum values than this, though 100 and -100 remain key values. Like many momentum oscillators, the CCI works by comparing the current price to some previous measure — and from that comparison deciding how strong or weak the market is, relatively speaking. The CCI uses a moving average as its benchmark against which the current price is measured. The CCI is a relatively modern indicator, having been invented after the advent of the computing age. It was, therefore, designed to be electronically processed from the get-go, in contrast to many older indicators that were originally calculated by hand. Consequently, the method of calculation is a bit more involved than those used for more venerable indicators. Furthermore, slight variations in the calculation method have been added over the years. The first step is to define a typical price. This is arrived at as the arithmetic mean of the high, low and close. The second step is to calculate a simple moving average of the typical price. In the original methodology, the moving average was calculated using a period of 20 days, but 14 is now more frequently used as the default. The third step is calculating the mean deviation from the moving average. Donald Lambert used the 0.015 constant with the intention of having 70% to 80% of CCI values fall between +100 and -100. Values above 100 or below -100 are therefore unusual deviations from the mean. Now if this all seems a bit complicated, don't worry — MetaTrader 4 does all the heavy lifting for you. You decide on the number of periods and MT4 CCI will do all the calculations for you in an instant. You can find CCI in MT4 by looking in the Oscillators folder in the Navigator. 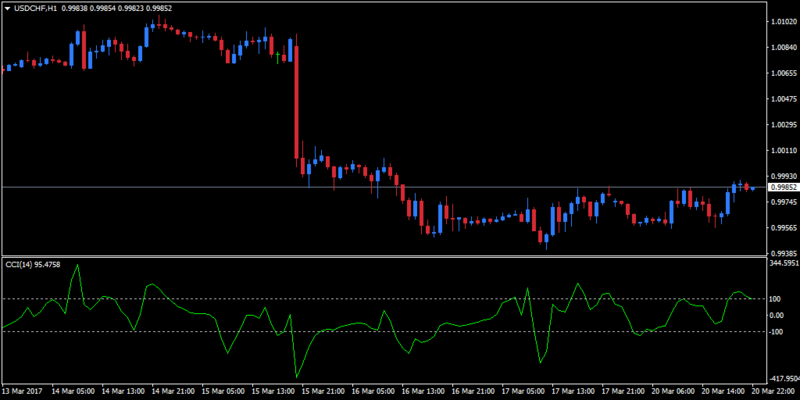 In the image above, I've applied the CCI MT4 default values to an hourly USDCHF chart. When you launch the indicator, the default value for number of periods is 14 and the method of calculation uses typical price (that is, HLC/3) as its default. You can choose to alter the default settings. One way is to change the length of the number of periods, which is a critical factor when using the indicator. As we said above, MT4 sets the default number of periods as 14. Donald Lambert's original standard length was for 20 periods, though he viewed any value between 5 and 25 as useable. If you set the period as too low it tends to create a whipsaw effect in the index and there is a danger that normal price fluctuations may look like tops and bottoms. Notice how jagged the chart has become and the greater frequency with which see breaks above the key +100 and -100 levels. If you choose a period value that is too great, though, the result is a response time in the indicator that is too slow to give you timely signals. If you play around with these different options, you will notice that the impact on the curve of the indicator is not dramatic. It can make a subtle difference to the timing of those crucial tops and bottoms though. So which are the CCI indicator best settings? Well, a good place to start is with the default values, and see how they work for you. You can then vary the number of periods and see if that works any better or worse. You can also do the same for the calculation method. It's a question of experimentation and finding out what works best for you. 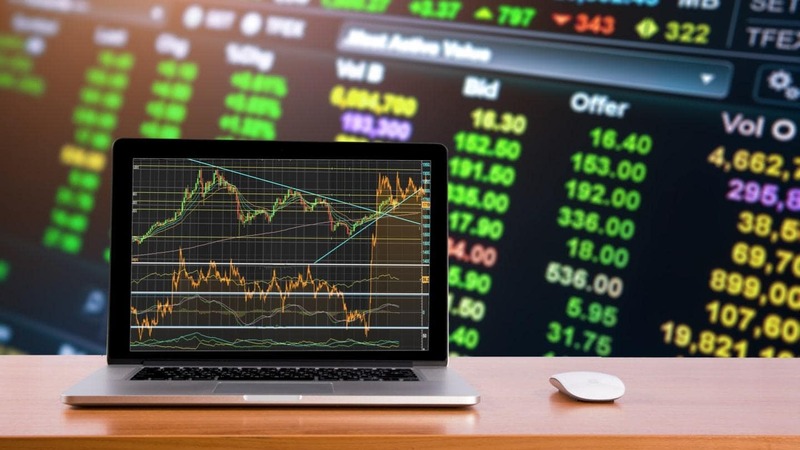 Now, of course, experimenting with real money can become expensive very quickly, which is why it's so useful to have access to a demo trading account. Our demo trading environment is risk free, meaning you can tweak the parameters as much as you want and only risk real money when you are happy. If we look at how CCI is calculated, its core function is to tell us how the price change of an instrument at any one time compares to the average price. When the CCI is high, it tells us that prices are above average. The CCI rising to one of these levels is therefore indicative of increasing strength. 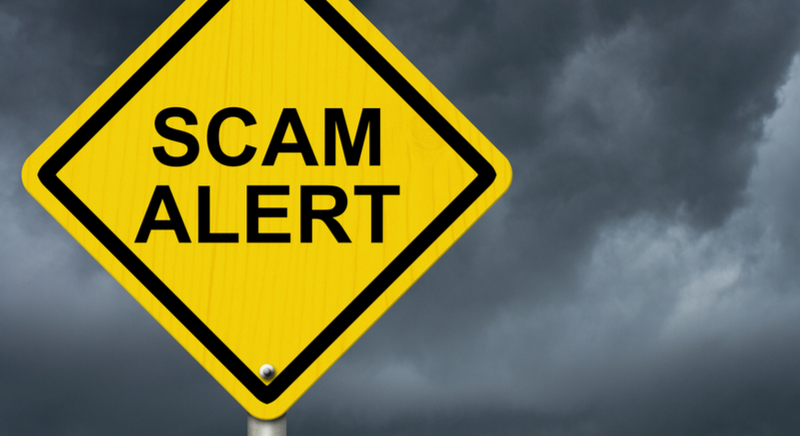 Conversely, when the CCI is very low, it indicates the price is significantly below average. Falling to such a level is a sign of weakness. The trading rules proposed by Miller for his indicator are simple. If the CCI line goes above +100, it is a signal to take a long position. You close the position when the line crosses back beneath +100. The same approach applies in the other direction: if the CCI line drops beneath -100, it is a bearish signal and you should establish a short position. You would close a short position when the CCI line rises back above the -100 mark. Over the years, other traders have suggested variants on these rules, such as considering +200 and -200 as indications of extreme overbought and oversold conditions, respectively. Should the indicator reach these levels, there is a high probability of a reversion to the mean. Like all indicators, it is possible to improve the CCI's performance by incorporating other tools into your strategy. 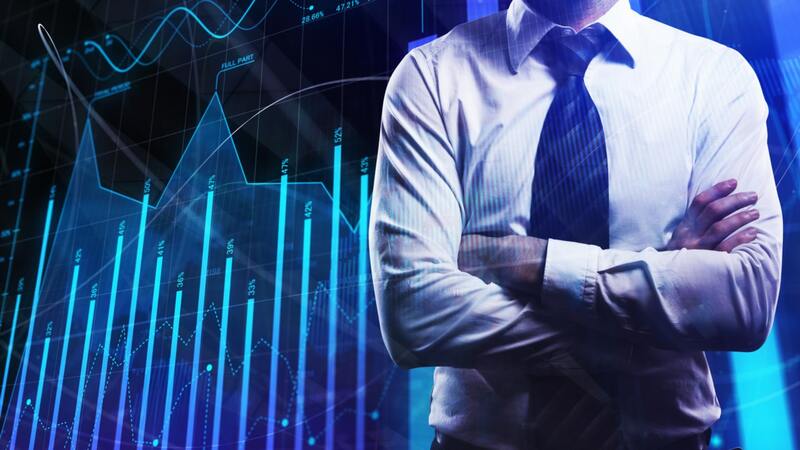 Though MT4 comes with a selection of indicators, you can substantially expand the choice of tools available to you by downloading the MetaTrader 4 Supreme Edition plugin. Not only do you gain access to a greater number of indicators with MT4SE, but you also benefit from a number of handy features, including customised charts and tools for improved order management. The Commodity Channel Index indicator is the kind of tool that has been made possible by advances in technology. Many older indicators were originally devised to be calculated by hand on a day-to-day basis. The CCI is part of a newer breed that for practical purposes can only be calculated by a computer. 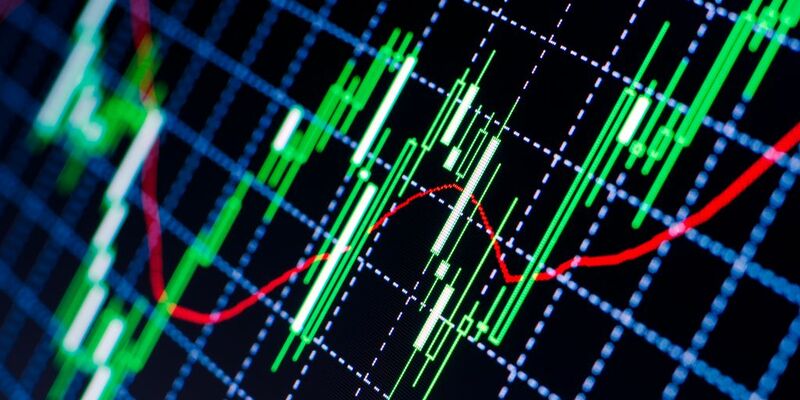 As we have seen, the Commodity Channel Index indicator offers a simple and clear way of identifying when there may be buying or selling opportunities and you can use it for pretty much any market you are interested in — despite its commodity-based origins, it works just as well for Forex and stocks. 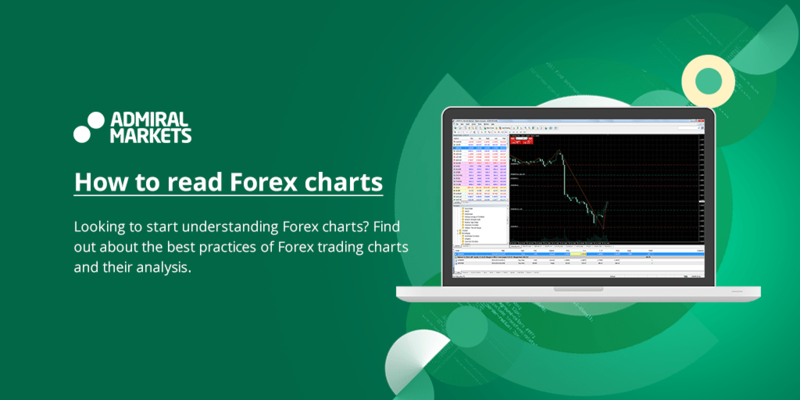 Why not give it a go today and see if it suits your style of trading?